In a world where handcraft is often overlooked, we celebrate artists who work with their hands; those who converse with their own mediums, and from their process emerge tactile products that share their story and spirit. It was the beauty and simplicity of an imperfectly perfect gift wrapped in brown parcel paper and tied with a thin cotton rope that inspired Megan Fowler, a UGA graduate with a degree in printmaking and book arts, to start her own creative venture in 2007. The small letterpress and design shop, called Brown Parcel Press, is run entirely by Megan and her mother Gaelle from a small rural farm in Hancock County, Georgia. Together these four hands craft simple yet elegant cards, calendars, and prints inspired by the comeliness of the natural world. 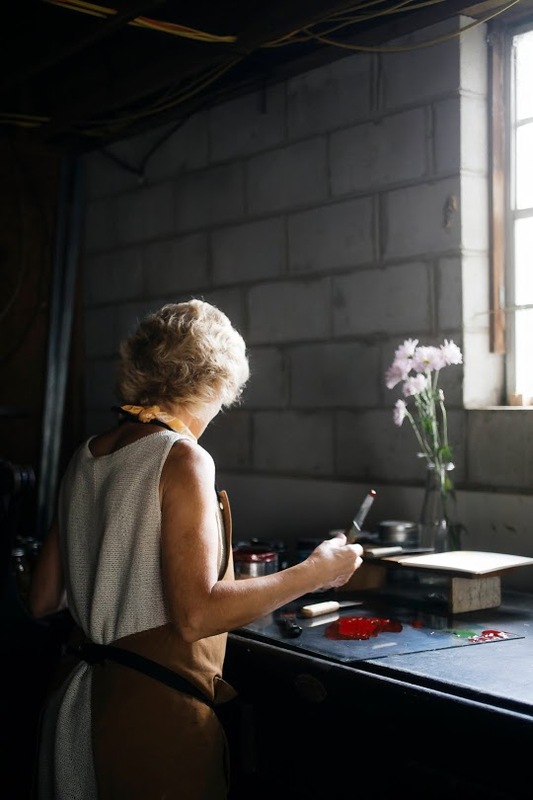 The art of letterpress is an extensive process from the start, but design begins in the purest form: with pen and paper. “Usually the beauty of something will capture my eye, and I’ll think about how that might translate well to letterpress,” Megan says. The designs are sketched and then scanned, where they are finalized in Adobe Illustrator. The pair then custom blend each color to perfection. The act of printing is no exception to the physical process, as the design must be run through the press once for each color applied. The centuries-old printing technique forms an impression on the paper, creating a connection between the artist and her work.